According to different processes, pulp cooking can be divided into two types: batching cooking and continuous cooking. These two kinds of pulp cooking processing have many differences in equipment and processing. Compared to continuous cooking, batching cooking requires low cost and simple maintenance, but pulp quality is not stable. 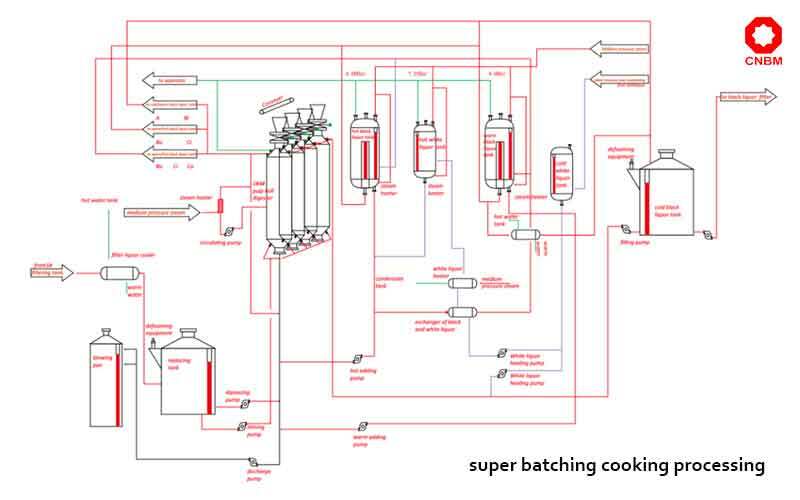 Super batching cooking and displacement cooking are two typical batching cooking types. Comparatively speaking, displacement cooking is the most advanced batch cooking technology in the world. Super batching cooking is a modified version of conventional batching cooking. It is an intermittent processing, which put the reagent into reaction-vessel and reacts periodically, then repeat this procedure. In the processing, fiber is the reaction product and black liquor is the by-product. Fiber is discharged with black liquor from pulp digester. In fact, there are residual heat and chemicals not react completely. Super batching cooking reduces 65% steam consumption from 2-2.5T to 0.6-0.8T to produce 1-ton pulp. High degree of automation, the great reliability of the system, stable and reliable pulp quality. Quantities of chemicals decreased gradually, and reduce the 95% pollution and cost. Anyang Machinery can supply the whole set of cooking equipment, including pulp digester, blow tank, vacuum drum washer, displacement tank, models of complete and custom design are available. Displacement cooking is based on the principles of cycle black liquor displacement and diffusion washing. 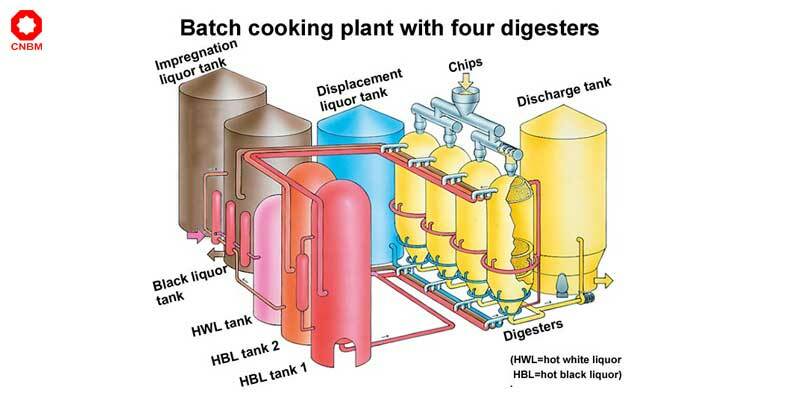 Use cooking liquor and wash water to displace cooking waste liquor in the batch digester, and waste liquor and heat was displaced out and realize cold blow. Displacement cooking processing recycles the black liquor remained from last cooking. It removes part of dissolved lignin, hemicellulose and extraction from the cooking system at the end of delignification, and adds cooking liquor in the delignification supplement stage. The displacement cooking can reuse the heat and chemical in black liquor, which bring the cooking condition into balance during cooking processing and improve pulp quality and production efficiency. 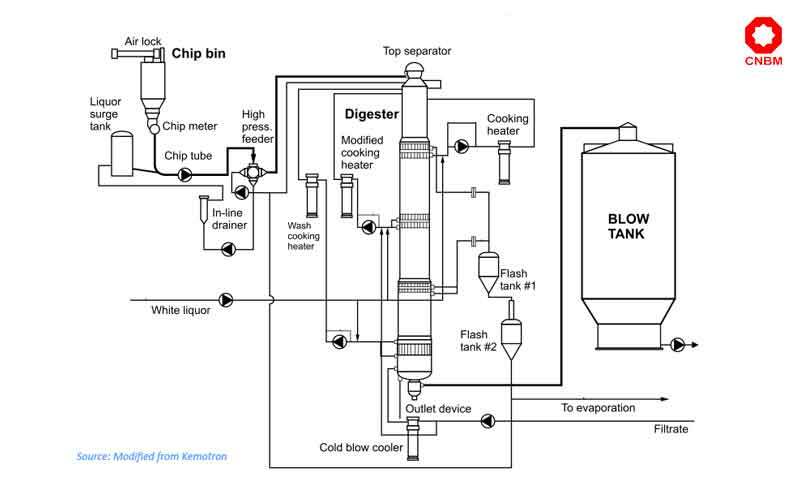 charging of chips – add hot black liquor – add hot chemicals – heating – heat preservation – black liquor displacement – cold blow – preheat white liquor. charging – heating black liquor filling – cooking – displacement – blowing. Our company can provide equipment of displacement cooking system include displacement digester, complete set of tank and heat exchange, etc. we can supply a Full range of models and custom-design products according to clients’ requirement. Continuous cooking is mostly applied in the alkaline pulping, nitrite cooking, prehydrolytic sulfate process, and sulfite cooking. It is a continuous procedure from charging to discharging. At present, continuous cooking is used for various raw materials pulping, including chip and porous non-lumber fibrous materials with a loose structure like Bagasse, reeds, straw and etc. The digester of continuous cooking processing includes horizontal tube continuous digesters and Vertical continuous digester. Horizontal tube continuous digester is the main equipment for non-timber fiber pulping. It is not only used for chemical pulping, semi-chemical pulping and biological pulping, but for chemi-mechanical pulping and bio-mechanical pulp. 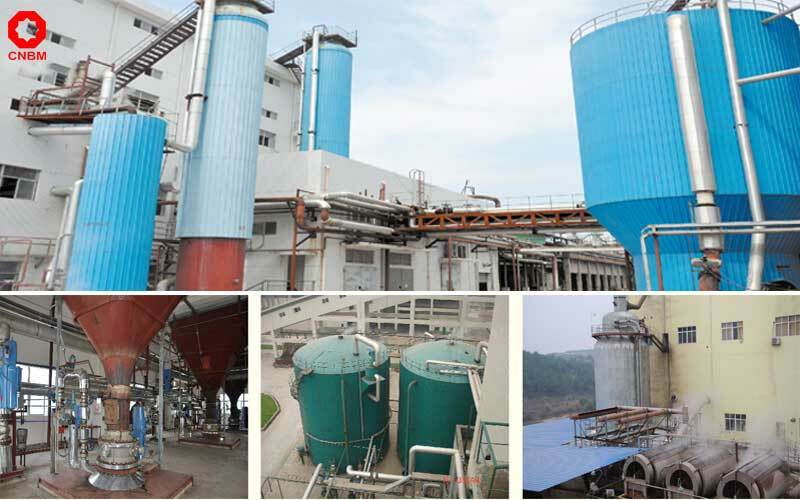 By different capacity of the pulping system, it usually equipped with 1-4 continuous digesters with the same specification in a set of Horizontal tube continuous digester system. All digesters can be used in series up and down. Fibrous materials through screw feeder and was sent into the first digester, then it was mixed by screw blade. In this step, fiber material was well mixed with chemicals, at the moment it was heated by the pressure steam in the digester. 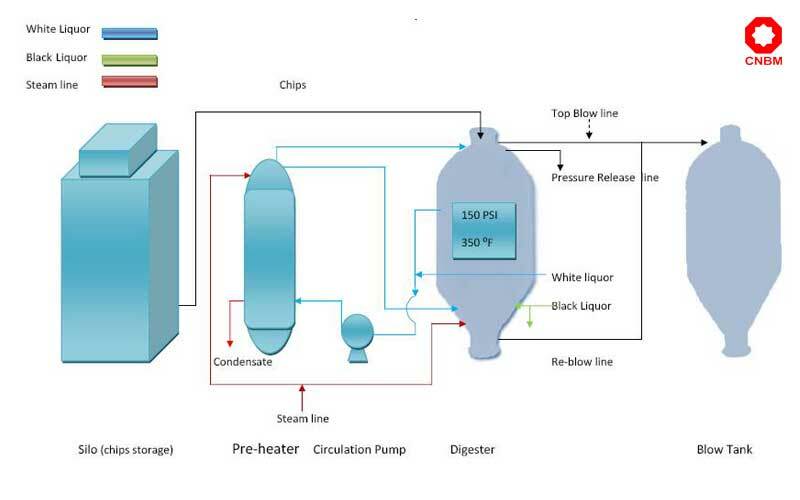 Under certain temperature, according to the predetermined reaction time, materials through each digester in sequence, until it was discharged from loading discharging, dipping and cooking processing is finished. Equipment of the vertical continuous digester system includes chip feeding system, digesters, heat recovery system, black liquor filtration system, condensate system. The vertical continuous digester is the core equipment in the continuous cooking, materials pass through Dipping zone, the heating zone, cooking zone, diffusion washing zone and cooling zone. Chemical liquor is heated by dedicated heater outside the digester and accelerated circulation by the pump. 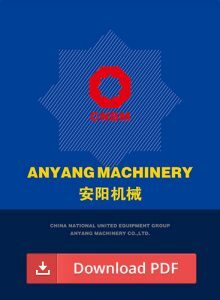 Anyang Machinery can provide complete continuous cooking system plant and custom machines as your needs.